We would like to introduce you to our hard-working team in our Scotland office! This is the Forde Advanced Driver Solutions team based in Eurocentral, Bellshill. On the left hand side of the picture you can see Branch Administrator Elaine. If you have ever rang our office in Scotland, chances are it will be Elaine who you hear on the other side of the phone. 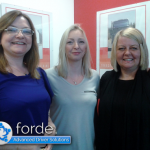 In the middle you can see one of our driving consultants Linda who has been with Forde ADS for a year now. And finally on the right hand side you can see the latest addition to the Forde ADS team, driving consultant Sharon who we are looking forward to working alongside as we continue to grow as a business. A fantastic team! 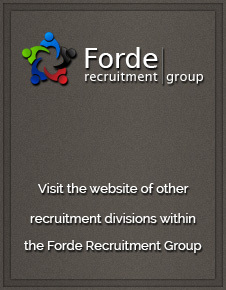 If you want to work with Forde ADS then get in touch! Call us on 01698 209 209 to discuss what we can do for you. Whether that is finding you drivers or finding you driving work!